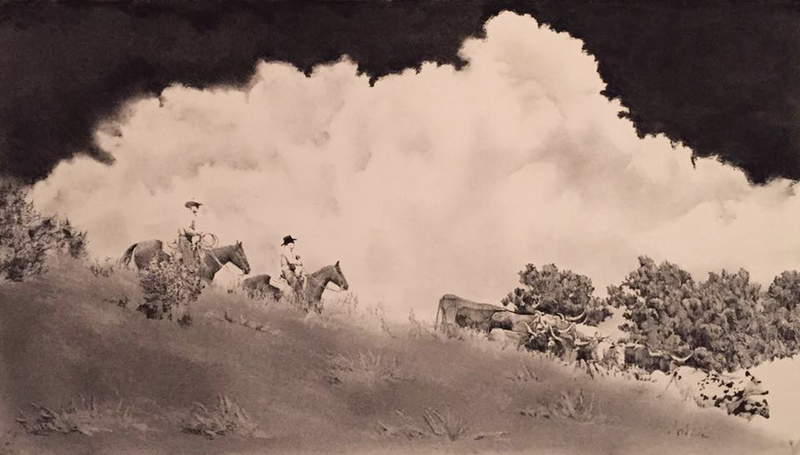 Spanning more than 30 years, the Cowboy Classics Western Art Show and Sale is a showcase for the western lifestyle and a tribute to the American Cowboy. Located in the Wesley Bolin Youth Activity Building, it is held in conjunction with the Arizona National Livestock Show. This art show is an impressive assembly of some of the finest western talent to be found today. Exhibits include oil paintings, bronzes, drawings, and watercolors — all drawn from the rich traditions of the American West. Show opens with an artist’s reception December 28 from 7 – 9 p.m. with live music, drinks, and hors d’oeuvres. December 29-30, 9 a.m. – 7 p.m.
December 31, 9 a.m. – 4 p.m. If you wish to receive a complimentary parking pass to the livestock show, call the office at 602.258.8568 or email us at information@anls.org.